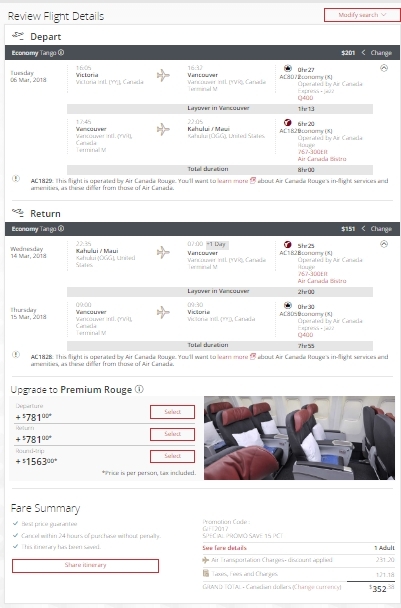 Air Canada has dropped the price of their winter flights from Victoria to Maui, Hawaii down to $392 CAD roundtrip including taxes. The flights have 1 stop each way, in Vancouver. Apr 3, 4 to Apr 11 -- new! May 31 to Jun 8 -- new! Jun 3 to Jun 11 -- new! Click on the departure date box to open up the calendar view and browse for the cheapest date combinations. Look for the dates that are $394 roundtrip. Use the same dates you found on Google Flights. 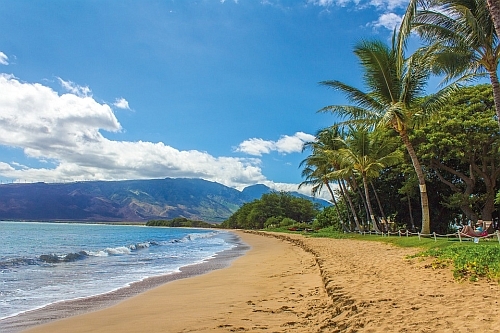 flight deals, hawaii, air canada, united states, victoria, yyj, maui, ogg, north america and kahului.